A little post today to discuss a trend I have mixed reviews on. So here is the question: should you ever wear tights with open toe shoes? Even though it may be Summer, I still don’t feel we have had warm enough days to wear bare legs with dresses everyday – especially not in air conditioned offices. What I love about wearing these are they are ultra-fine with an attractive transparent look; pretty much like make-up for your legs. They are super stretchy, which is ideal because who ever wants ‘tight’ tights? The best thing about them though is that they have an unreinforced sandal toe, making them ideal for wearing with open-toed shoes as the toe line isn’t so obvious. 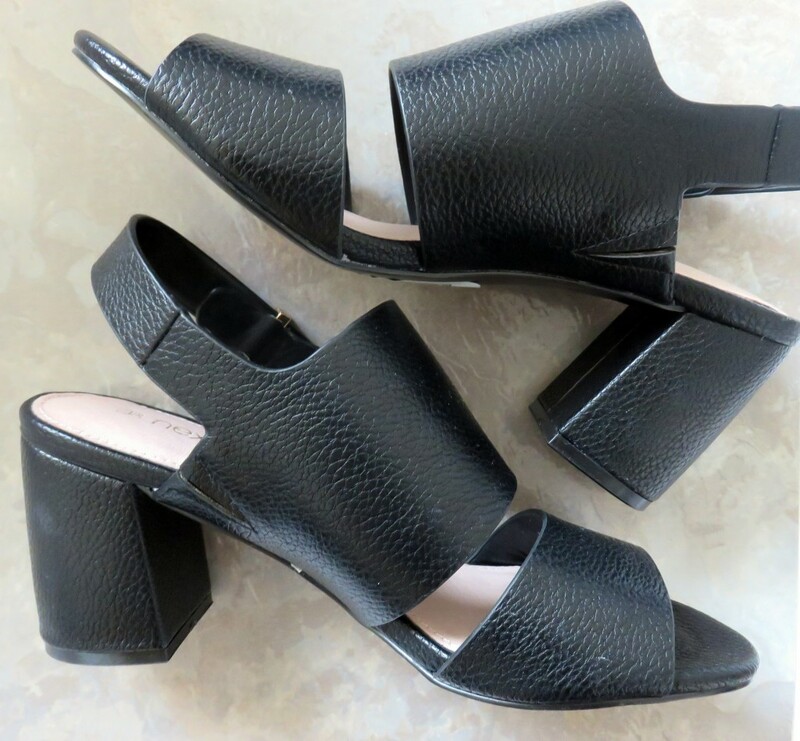 I tried them out for the first time with a new pair of chunky heeled open-toe sandals from Next which I purchased last week… have a see what you think! In my opinion, it’s really no big deal to ditch the rules and wear your open toe shoes and tights with pride. I felt confident and comfortable wearing these, and would do this more often. If you chose a good pair of soft, sheer tights like the ones I opted for from Wolford, ideally with a hidden obvious toe seam, then in my eyes it’s completely fine.